Set amid the majesty of the Santa Rosa Mountains in Southern California, the secluded enclave of Indian Wells offers world-class resort accommodations, outstanding restaurants, shimmering pools, luxurious spas, championship tennis and two award-winning golf courses - all just steps apart. You'll find homes and condos within country clubs for sale as well as custom homes boosting character and charm for sale. Indian Wells homeowners enjoy many discounted perks at golf, spas, and restaurants around town. 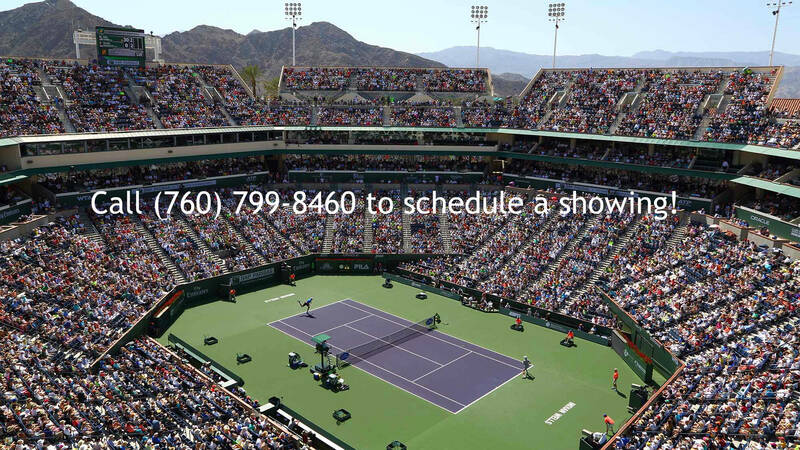 The city of Indian Wells is known for hosting the BNP Paribas Open annually in March. It is the largest two-week combined ATP World Tour Masters 1000 and WTA Premier professional tennis tournament in the world. The Tennis Gardens in Indian Wells is Southern California's ultimate tennis center with the second largest stadium in the world. Covering 54 acres and 29 world-class tennis courts, three fine dining restaurants and so much more. Education is a big part of an exceptional life in Indian Wells. Part of the Desert Sands Unified School District, the city prides itself on comprehensive educational programs and services. One of the highest rated schools in the district is located in Indian Wells; Gerald R Ford Elementary as well as numerous higher education opportunities, adult learning and universities. Indian Wells is country club living at it's finest just about anywhere you go. As a local Realtor I may be able to find a home with your specific criteria easier than you. For a more defined list of homes that fit your specific needs, please contact me today.